If you’re like me and you are the computer geek in the family then you probably get lots of questions about how to do things, or how to fix problems, on the computer. Clarify 2 is an app for the Mac that allows you to assemble multiple screenshots quickly, and easily, into step by step instructions. You can then share your instructions by exporting the final product and sharing it directly as a PDF, or Word document. You can also export directly to WordPress, Evernote, or Dropbox. You can also share it online via their own Clarify-it.com service. Clarify 2 was just released and is available as a free trial for 14 days when downloaded from the Blue Mango Learning Systems website. 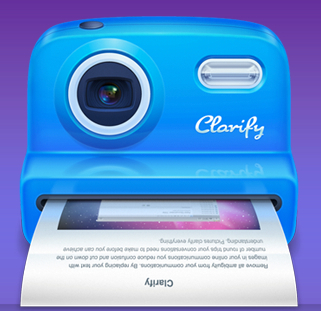 Clarify 2 is also available for download on the Mac App Store. Blue Mango Learning Systems is offering an introductory price of $14.99 (half price) until August 11th. Sign up to get every new post sent straight to your email inbox! Your email is safe with me! I will never sell your address or share it with anyone else. Contact me to kick things off. This will be more fun than you think! © 2019 John Hendrix Design · All Rights Reserved · Proudly Powered by WordPress and the Genesis Framework.